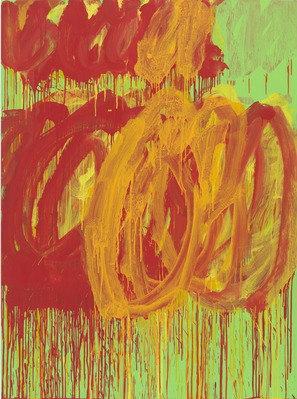 Cy Twombly was an American painter whose recent death has coincided with a number of exhibitions. His work is currently on show at Tate Liverpool alongside Turner and Monet, which explores the similarities of their later works. But you don't need to travel to Liverpool to see his work. The Gagosian Gallery in King's Cross will be displaying eight of his later paintings. These will be in his signature freeform style filled with bold colours, which bear as much of a resemblance to graffiti as any other art genre. Alongside these works will be a selection of 66 photographs spanning his career — from the 50s until his death last year. Twombly's photographs aren't as well recognised as his large-scale paintings but they will offer an alternative insight into his life and present a narrative of his career. Twombly's work remains highly influential in contemporary art and this exhibition affords the chance to see both the familiar and lesser known works in his portfolio. Cy Twombly: The Last Paintings and A Survey of Photographs 1954-2011 is on display at the Gagosian Gallery, 6-24 Brittania Street, WC1X 9JD from 6-29 September. Entrance is free.